Need a traffic update while driving? Why not log on and find out? Aren't the trees lovely? Why am I still snapping pictures while driving? All unanswerable questions but them trees are lovely though, innit? 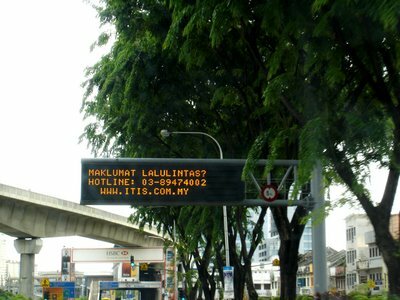 So, does this give you updates on traffic jams then or is it used for advertisments? you are bored cos of the long traffic ! I love those trees !